Contact Springfield Traffic Tickets Today for the Legal Services You Need! It’s finally summer! One of the most common American past times for a summer evening is taking a nice bicycle ride. 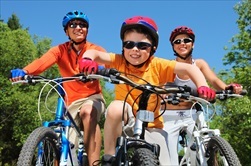 Whether it’s a solo ride, a biking club or a family outing, Springfield’s roads and routes have quite a bit to offer just about everyone. Like any other form of transportation, there are rules and resources available for the safety of the community. 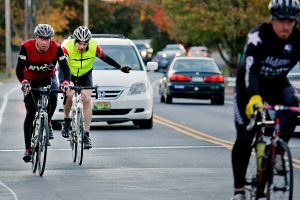 Springfield Traffic Tickets has compiled a list of everything you need to know before your next summer bike adventure! All streets are available for bicyclists to use. Each street is different, so bicyclists must evaluate the risk they are taking when sharing the road with other traffic. That being said, there are roads more suitable than others: streets with low traffic speed and volume, streets that have wide outside lanes, and no obstacles in the path of the bicycle (storm water grates, and uneven pavement). A numerous amount of local residential streets are suitable for bicycling. Many streets around Springfield have biking lanes, designed for bicyclists. Be on the look out for the ones available along your trek! Bicycle paths are commonly found on the Missouri State University campus. 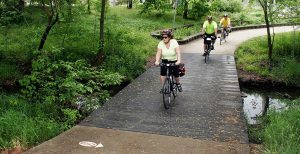 Besides that, there are more than 65 miles of recreational paths for walking and bicycling available in our community including 20 miles in Springfield, 30 miles in Greene County outside of Springfield city limits, and 16 miles in Polk County. The City Traffic Engineer has deemed streets suitable for bicyclists that provide access to common destinations as bike routes. These routes provide continuity to travel through several neighborhoods as well. The LINK is a route along streets in Springfield. There are map signs located every half mile of the path and connects more than just trails. Many neighborhoods and businesses are included in the LINK. Some of them are Drury University, OTC, Commercial Street, Downtown, Jordan Valley, Hammons Field, Missouri State University and the Battlefield Mall. Streets mainly suitable for experienced bicyclist have high speeds and/or traffic volumes. These streets are labeled with SHARE THE ROAD signs. Off-street paths for joint use of non-motorized transportation such as bicycling, rollerblading, running, and walking are maintained by the Springfield/ Greene County Parks Department. There are signs that indicate where multipurpose paths come to intersect with the street system. These are important to know when traveling along Springfield’s bike routes. The rights and duties of people riding bicycles on a roadway, are the same as the rights and duties of the driver of any vehicle. Any person on a bike shall obey the instructions of official traffic control signs, signals, and markings that control vehicles on the road. 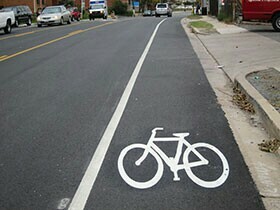 A bicycle must be operated near the right-hand side of the roadway, no more than two side by side. Bicycles shall have a bright light on the front, a red light or reflector on the rear, and a bell or horn, especially during darkness. It’s important to make yourself noticeable to others around you. Wear bright clothing. 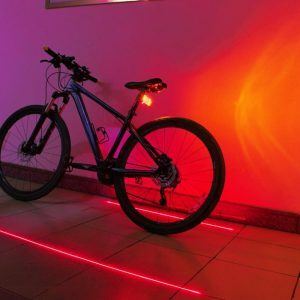 Have lights and reflectors on your bicycle. Wear a protective helmet. Keep ears open to hear traffic, trains, or warnings from others. Obey all traffic rules and signs. Stop at all stop signs and signals, and yield to traffic, including pedestrians, when appropriate. Ride on the right side of the street. (in the same direction as automobiles). Normal positioning is 2 to 4 feet from the curb or edge of roadway or a car door’s width from parked cars. Position in intersection approach for intended movement. Use the rule of thirds. If turning right, use right side of lane. If crossing intersection, use center of right through lane. If turning left, use center of left turn lane or left side of shared lane. When changing lanes or positioning in lanes, always check behind for vehicles. Bike lanes, where provided, end near the beginning of left turn lanes. 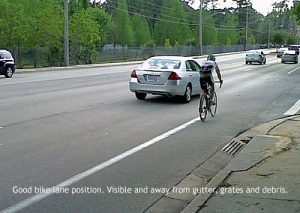 Bicyclists should position themselves in the through lane or the appropriate turn lane as they approach the intersection. Position in lane for speed. If slower than other traffic, stay to the right. If same speed as other traffic, use center of lane. If faster than other traffic, overtake on left. Now that you’re up to date on the rules of the route, you’re ready to ride! You can use the Springfield bike map to plan your next summer adventure. Stay safe and have a great summer! Photos on this site may be simulated. The choice of a lawyer is an important decision and should not be based solely upon advertisements. Springfield Traffic Tickets is not affiliated with the City of Springfield.